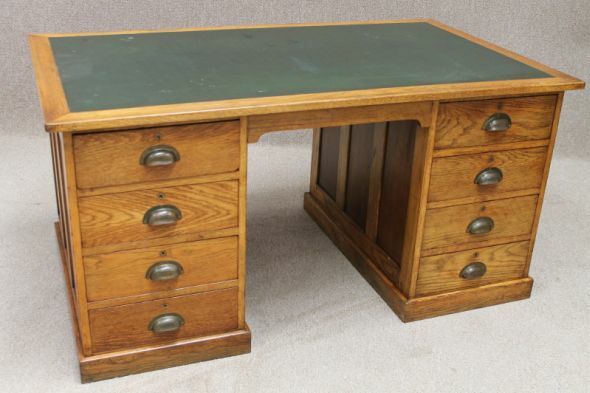 A superb quality, circa 1920s oak office desk. Featuring two banks of graduated drawers fitted with original brass cup handles. The desk is in lovely condition, and has the original green leatherette style top. Please be aware that the top does have slight marks and signs of general wear and tear to it being used in an office environment. The desk breaks down into four individual pieces for ease of transportation. An ideal piece for any period home office or study.